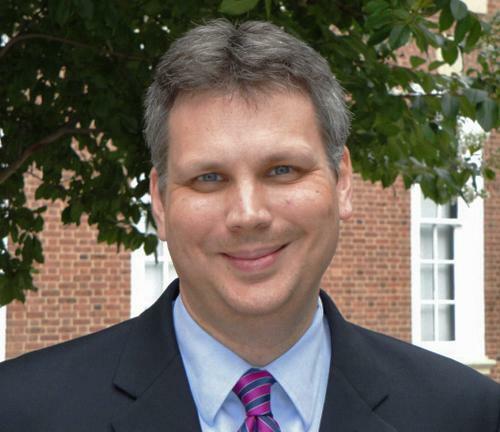 Mark Presnell joined University Career Services this week after a seven and a half-year stint heading the same department at Johns Hopkins University. Presnell kicked off his term at Tuesday’s career fair in Norris University Center. As the new executive director of a rapidly changing University Career Services, Mark Presnell enters the job with more than 15 years of experience reinventing how universities approach career advising. Under Presnell’s watch for the last seven and a half years, graduating students of Johns Hopkins University held steady at an employment rate of 41 percent. When the recession hit in 2009, the employment rate for JHU graduates dropped just one percentage point, from 42 percent to 41 percent, according to the JHU Career Center. The same did not hold true for Northwestern’s classes of 2008 and 2009. The employment rate dropped nine and a half percentage points, from 42 percent to 32.5 percent, over the same year, according to career services. Presnell attributed the success to changing how students approach their search for employment. “What you really have to do is teach students not to be reactive but to be proactive,” Presnell said. After starting as an aeronautical engineering major, Presnell graduated from Purdue University with a degree in psychology before earning his doctorate in counseling psychology from the University of Kansas in 1998. From there, he moved to the University of Virginia School of Architecture and then the University of Rochester prior to his stint at JHU, where he headed the career center until his departure last week. Presnell skirted around addressing the current state of career services before he had a chance to take stock of the department’s current status. “I don’t want to be in a position where I say, ‘Ah, they need to do X, Y and Z,’ and then tomorrow I find out they’re already doing it,” Presnell said. Presnell explained that career services must do three things well: career counseling, career advising and finding inventive ways to connect students with potential employers. Meanwhile, career services is already changing how it operates through simple structural and procedural changes. Career services interim director Alice Harra helped launch the organization’s new “From Day One” campaign, targeting freshmen by reaching out to them earlier in their college experience. Freshmen can now receive career advising Winter Quarter, allowing them to start thinking about employment earlier, something Presnell noted as being crucial. In the past, students needed to wait one to three weeks for advising, often seeing a different adviser each visit. Instead, each student is now assigned to an adviser specific to their school who visits with students for their entire college education. “Rather than students seeing several people, one person is watching them through this developmental arc,” Harra said. To help jumpstart this program, career services is offering walk-in “speed advising” sessions to start the year. Officials say this approach has helped streamline the advising process. Harra said they can now advise the same number of students in two to three days as they could in two to three weeks under the old system. In addition, the University is planning to have its largest fall recruitment period for career advising.The career fair held Tuesday saw a record 105 companies attend, and during the next two weeks, Harra said 48 more companies will be coming to campus. Even with all the changes, Adams admits career services has more to work on as Presnell begins his first week on the job. Adams expressed his wish that they use technology more efficiently and proactively reach out to potential employers and alumni to better connect students to career resources. Presnell said he believes connecting students to alumni improves their overall employment prospects.